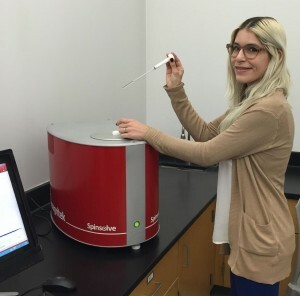 Magritek reports on the use of their Spinsolve Benchtop NMR system in the undergraduate teaching program at Long Beach City College. Dr Marlon Jones is an Instructor of Chemistry in the Physical Science Department at Long Beach City College (LBCC). The College has served the community for more than eighty years through exceptional educational and student support services opportunities to help them succeed including moving on to full time university education. His teaching goals for the Organic Chemistry course at LBCC are to ensure that students have a fundamental understanding of the basic aspects of NMR and have the ability to interpret basic NMR spectral data. To obtain full details of the Spinsolve benchtop NMR spectrometer and the full range of analytical products from Magritek, visit www.magritek.com. 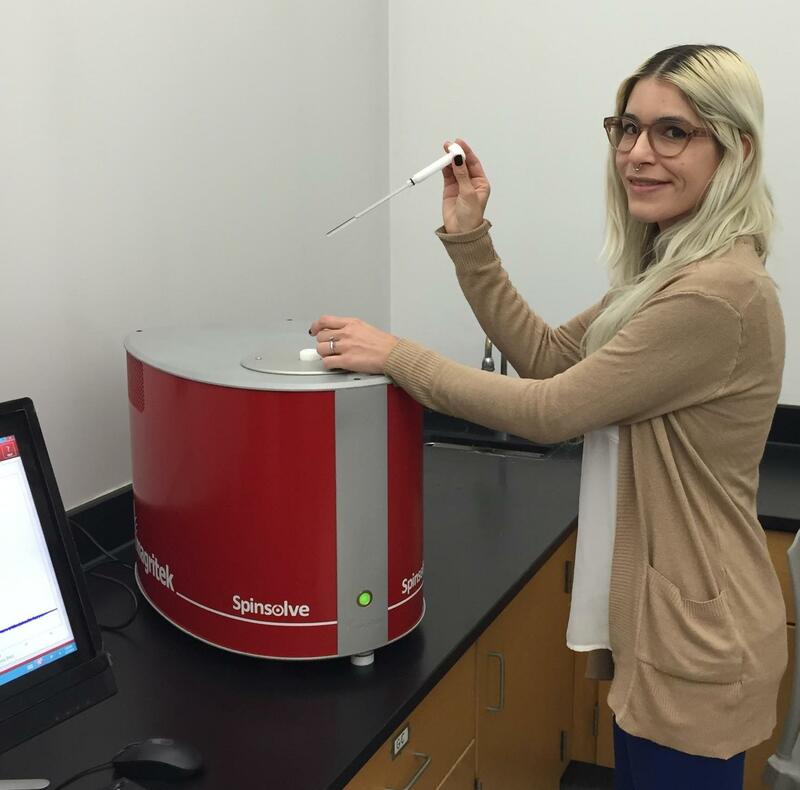 Learning about NMR at Long Beach City College, sophomore Patricia Romine with the Magritek Spinsolve Benchtop NMR.